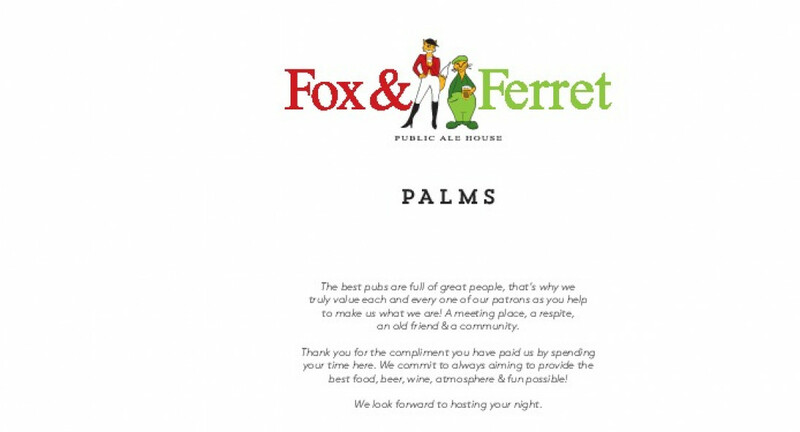 The Fox & Ferret Public Ale House in Shirley is located at The Palms shopping mall. 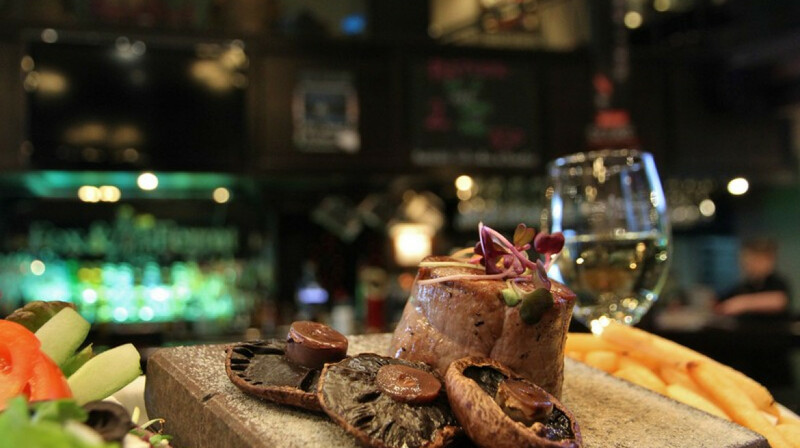 A modern gastro pub, the Fox & Ferret offers a wide selection of mouth watering light and main meals to suit all tastes, including the world famous stonegrill menu and legendary sharing platters. Fox & Ferret Shirley also proudly serves a range of fine ales from both local and international sources. The Fox & Ferret is our local, we’ve had a lot of great meals there. We had the meat feast which is an epic platter meal. So yummy! And so full! We had our one year old with us which was no problem. Great friendly pub and restaurant. Great food and service. Took my bestie and her man here to celebrate her birthday. All 3 of us agreed it was the BEST pub meal we have ever had. Shared seafood platter for starters & stone grills for mains while watching a warriors game. Great food & atmosphere. Only complaint was the Warriors lost to the rabbito's in the last minute of the game. Will definitely be back. 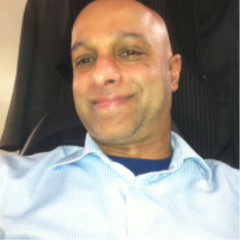 First time visiting and was very happy with the friendly staff and quick service. Food was good quality and atmosphere was great. We have dined several times with first table at the fox and Ferret Palms and the meal is great, the selection on the menu is all good, the servings very generous, the staff very helpful and friendly and the atmosphere great. 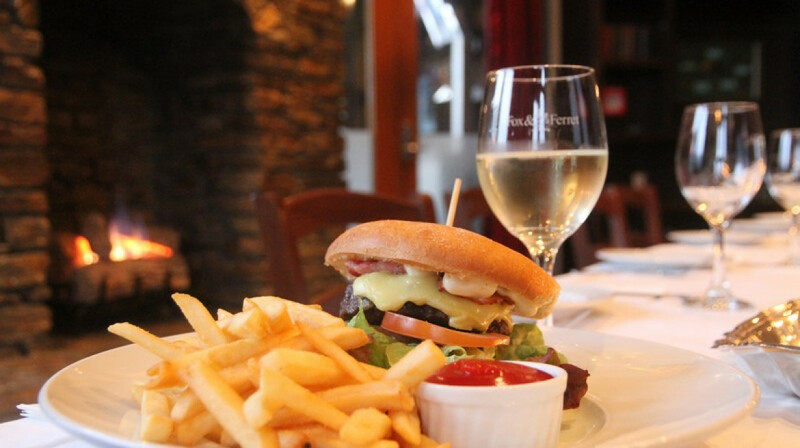 Happy hour drinks on a Friday are very reasonable too, another great deal. will go again. Good portion sizes. Fast service considering it was St Paddy's day. Everything was good! Thank you for everything! We all enjoyed the yummy food and the experience of Stone grill cooking. 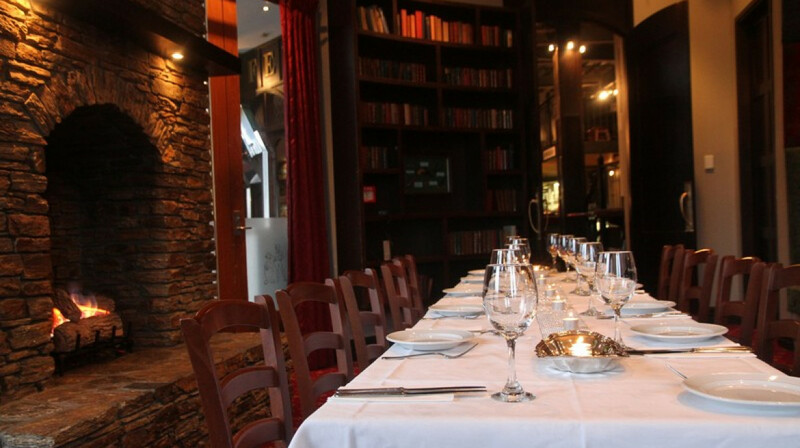 The service was exceptional the waitresses were friendly and looked after us really well. The room was perfect for my birthday evening. Thankyou, thankyou very much. Excellent dining experience with extensive menu obviously great chefs and friendly staff. Would definitely recommend. Another fabulous meal at F&F The Palms. We were greeted warmly, despite the restaurant being already very busy. The staff were attentive and apologised for any small delays in service. 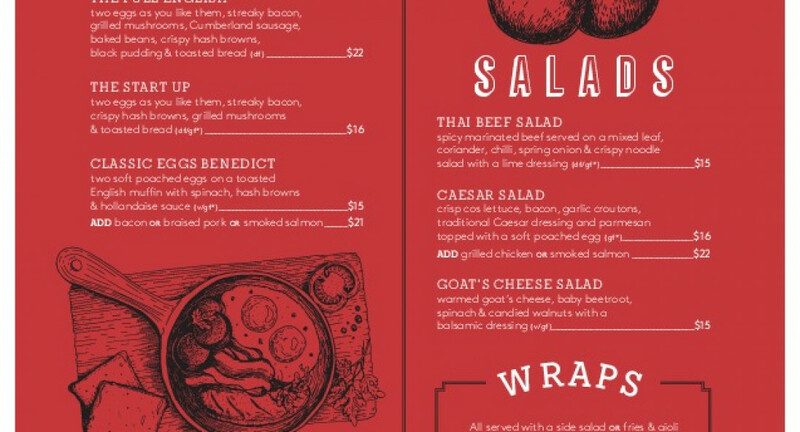 The childrens menu has a good selection with approximately 6 menu choices. If you are a fan of Burgers and also cheese - the new Mac'n'Cheese Burger was rated extremely high by my husband. The filo was a large serving with a tasty filling. Service was very quick, despite the minimal number of staff compared to customers. The atmosphere was excellent and our First Table booking was welcomed. We will absolutely return - my fussy 7 year old also gives a big thumbs up (and was delighted with the provided activitiy pack). Great place! Definitely be back! We always go back to Fox and Ferret The Palms as it always guarantees a good feed especially when we range from 9-73 years of age. If in doubt try it out! Was expecting great food as have eaten over at the Riccarton Fox & Ferret but was a little disappointed as the fish I ordered was dry & the hot chips were average. On the other hand, my husbands steak was huge & was cooked to perfection. Service was great at the start but as it got to dessert we had to wait a long time for someone to serve us. Food was very tasty and great value for money. Thank you. Staff made us feel very welcome. The food was good. Well presented. Two of us had stone grills and it was a fun, do it yourself way of eating. Very enjoyable meal, happy to recommend. 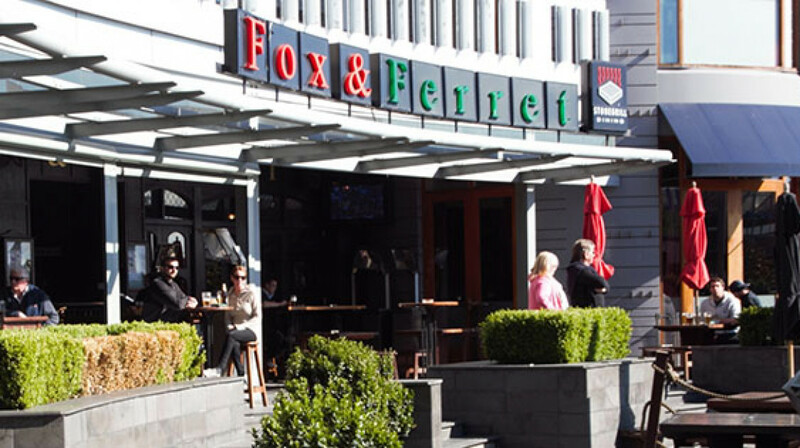 Amazing staff at Fox and Ferret - especially our bubbly and enthusiastic waitress Kaitlyn- but all the staff were super helpful and friendly - which is so nice when you have a family! Thank you! We are a family with toddlers and we were accommodated at the balcony above the bar which we think not a very good spot for us but on the other hand, the server was kind and very accommodating and the food was superb. Nice evening at Fox & Ferret. Service was friendly and prompt. Food was good. We had the Seafood Platter to share it was delicious and the service was great. Will definitely go back after Christmas. Had a great First Table experience - firstly got $5-00 off the booking fee as it was my first time. Arrived at Fox & Ferret and table was reserved for us - the service was great with friendly and helpful staff. The food arrived on time and was very nice, it was good value and would definitely do this again. Located us in a quiet part of the restaurant which was much appreciated considering we had a toddler with us. Great food, venison was delicious, and a lovely waitress who was personable and fun to chat too. Really friendly staff and great atmosphere watching the rugby. Staff were helpful with dietary requirements and suggested a deal to get our meal and drinks cheaper. Food was great. Thank you! awesome friendly service - recommended! Excellent food - and the Service was wonderful. We took our teenaged grand children for dinner. We'd never dined there before, but their menu looked like it would cover all of our wide and varied food preferences. Wow! We weren't disappointed. Service was friendly and fast. Food choices awesome. The food itself was large portions and yummy. We shared the fresh warm bread loaf, fried chicken starters. My husband tried the pie, it was huge and very tasty, the Caesar Salad was also really good. The steak and rib plate was massive and even a teenage boy couldn't quite finish it. The steak was amazing as were the ribs. Lastly we had the chicken and roast vegetables, again great portion size and really tasty. Thanks for a great night with family Fox and Ferret. We will be back again for sure. We love fox and ferret so much! The seafood platter is our all time favourite! On arrival greeted by staff who were warm and friendly. Led to a table next to the roaring fire which was great as I was freezing. Kids given kids menu and colouring pens to keep them entertained until meal arrived. Ordered the steak (rare), ribs, chips, garlic bread for 3 of us and child had the 2 burger kids meal. The steak had smokey flavour cooked to perfection. Ribs had nice sauce on them. Just a small bowl of chips which was perfect along with the chipolate sauce. Too full to eat dessert ! Fussy child ate his two burgers. Staff constantly filling up water bottles which is great. Would recommend and would recommend the steak, ribs meal - we went the other week paying full price and came back to have it again. 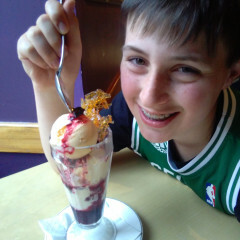 Even treated the 10 year old to this adult meal which he thought was fantastic. Excellent table service worthy of a small tip. Thank you to our waitress - great work. Great food and waitresses were brilliant. My Wife & I went for our 34th Wedding anniversary and blown away with the attention we received. Made to feel special even tho the staff were busy as. Simply hospo at its best. Thank u team. It was a great experience, we tried the hot stone grill and it was amazing. My daughter is a picky eater but she ate her carbonara pasta without any hesitation as it looks well presented and very creamy. We all enjoyed our food and very comfy environment, though its a pub they have a quiet place where you can dine in. Lone star was a great night out. Awesome place to come to, the food was on par! Had an amazing beef and pork belly burger left feeling full and happy. The fried chicken is a fantastic starter. Top it all of with skillet cookie for dessert. Look forward to booking here again! Warriors game in progress and bar was noisy and packed so pleased to be shown into dining room away from the bar. I choose smoked chicken Cabornara and it was delicious, followed by baked lemon cheesecake. Our waitress McKenzie was very attentive in making sure we had an enjoyable meal. My Partner was unimpressed with his under cooked sirloin steak and just warm vegetables. My overall feeling was my utensils weren’t suited for purpose with a knife for pasta and just a dessert spoon for cheesecake when a dessert fork was needed to cut the base.